The first complete assessment of reef-building corals was completed in 2008 (Carpenter et al. 2008) from which the Red List Index of corals shows the most significant decline of all taxonomic groups assessed (fig. below), due to the impact of the 1998 global coral bleaching event. Red List assessments should be updated at ten-year intervals so another is due now, more so with the 3rd global coral bleaching event having severely affected corals around the world in 2014-2017. Given the importance of corals in biodiversity and socio-economic terms, their high vulnerability to local and climate change impacts and importance in global conventions, completing a re-assessment of their status by the Aichi Target reporting date of 2020 is of paramount importance. The regional processes for updating coral reef status information in the Global Coral Reef Monitoring Network (GCRMN) is underway with 4 major regions completed or with completion plans by 2019. This provides the key data on reef health for assessing coral status. 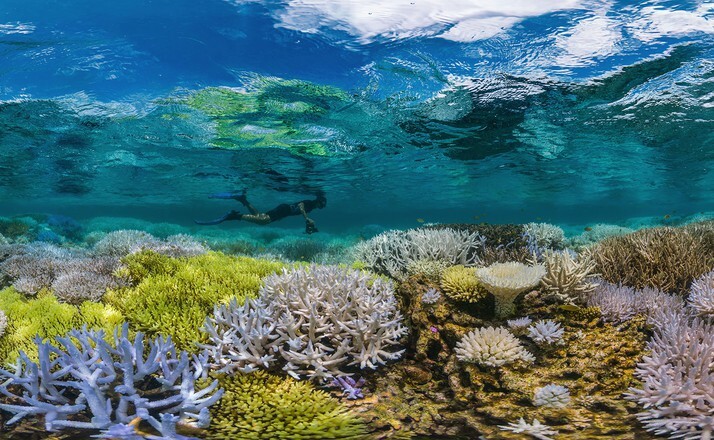 Updating the Red List of coral species by 2020 could provide the single most powerful message for coral reef conservation in the context of the CBD Aichi Targets in particular, which are due in 2020, as well as the SDGs and the UNFCCC Paris Agreement, and to support the updated warning of the scientific community on climate change exceeding 1.5 C within the next few decades. Only a targeted blitz to update the Red List of almost 850 coral species will succeed in getting it done in time for Aichi Target reporting. But it has to start immediately, or the opportunity for a policy win in 2020 will be lost. We estimate the cost to be in the region of $60,000-100,000 for core coordination, some dedicated student assistants and/or postdocs, a workshop and data processing and scheduled submissions for approval by the IUCN Red List Unit. Core technical coordination will be played by the Coral Specialist Group (David Obura and members) and its Red List Authority (Beth Polidoro/Arizona State University), together with the Zoological Society of London.